Anushka Sharma and Varun Dhawan’s first time pairing in the much awaited Sui Dhaaga – Made in India certainly has fans eager to see their characters come alive onscreen. In the film, they play innocent village folk Mauji and Mamta living in heartland India dreaming to make a name for themselves. 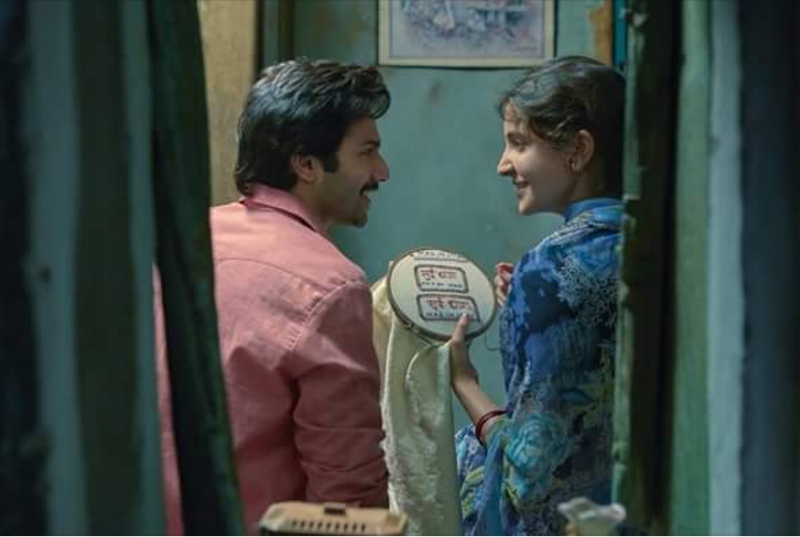 While Anushka plays an embroiderer, Varun plays the role of a tailor from heartland India. Their fresh and exciting chemistry is showcased in the first song from the movie titled Chaav Laaga. In fact, audiences will witness Mauji and Mamta’s heart-warming, innocent love story. The song captures the emotional and uplifting journey of Mamta and Mauji, who from being life partners become business partners chasing their aspirations and ambitions. Chaav Laaga is an earthy, melodious and poetic track. The song is a simple ode to finding love and understanding in one’s life partner within life’s constraints and obstacles. It celebrates the uplifting power of love that helps a partner to dream big and to look at all problems in the eye. As circumstances compel the young Mauji and his wife Mamta to be together and yet, be apart; this song focuses on their deeply felt love that grows with time. It’s love after marriage that blooms and grows slowly to last forever. Papon Mahanta and Ronkini Gupta have sung this soulful romantic track. Anu Malik, who composed the beautiful Moh Moh ke Dhaage in Sharat Katariya’s previous film Dum Laga Ke Haisha has collaborated again for this song. A film about finding love and respect through self-reliance, Sui Dhaaga – Made in India is a heart-warming story that celebrates the spirit of self-reliance. The film’s plot is inspired by Mahatma Gandhi’s philosophy and takes a leaf out of the hugely acclaimed Make In India campaign. The National Award-winning, dream-team of director Sharat Katariya and producer Maneesh Sharma have come together again for this Yash Raj Films’ entertainer that is set to release on September 28 this year. 15 queries in 0.491 seconds.